Darrell Ingram, CPA is a medium sized CPA firm that provides individuals and small & medium sized businesses across the U.S. with a wide range of accounting, financial, tax, and business consulting services. We offer fee-only financial planning services and have advised individuals, business owners and employees on a wide range of financial issues including: taxes, investments, retirement plans, employee stock options, retirement planning, and employee benefits. Our Virtual CFO service provides professional, part-time financial management which assists entrepreneurs and business owners to create change, solve problems, accelerate and/or manage growth. Whether your requirements are for traditional financial services or for specialized consulting, we will work with you to achieve your goals. We are committed to providing each of our clients the highest quality service using modern technology backed by old-fashioned integrity with personalized attention and support. The principal, Darrell Ingram, is a Certified Public Accountant. Darrell is a graduate of Southern Methodist University and the College for Financial Planning CFP® Professional Education Program. 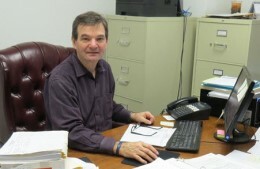 He has been a practicing accountant for over 25 years. Prior to that time, he had over ten years in banking accounting with the title of Vice President. 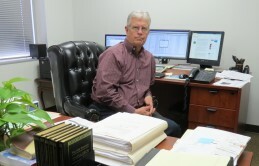 David Anderson is a Certified Public Accountant and has worked with Darrell Ingram CPA since 2012 assisting in financial statement preparation, payroll and sales tax returns, and financial analysis. David is a graduate of Indiana University and received an MBA from the University of Indianapolis. He has over 36 years of financial experience serving as controller and financial executive with several companies. 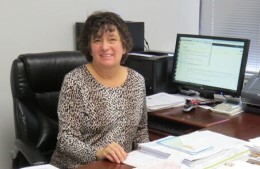 Sharon Ingram has over 30 years experience in payroll, billing, bank reconciliation and small business management. Sharon graduated from Southern Methodist University with a BA and was general manager of Answering Unlimited, Inc. until joining Darrell full-time in 2005.